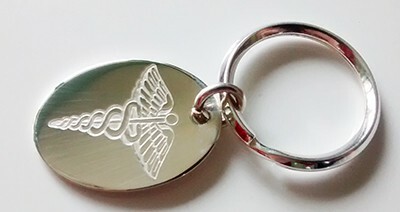 Classic, sterling silver Medic Alert keyring with a highly polished finish. It has a full assay office hallmark on the ring nearest the keyring. 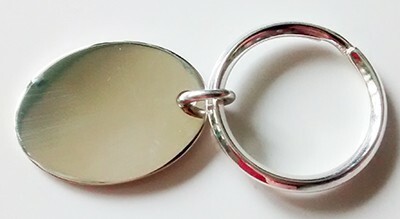 The oval is is 29mm x 22mm and it is suitable for engraving on the back. The ring itself is 26mm in diameter.